Copyright © 2013 Vakeel. A. Khan, Nazneen Khan. This is an open access article distributed under the Creative Commons Attribution License, which permits unrestricted use, distribution, and reproduction in any medium, provided the original work is properly cited. 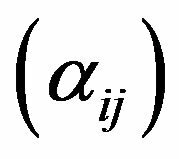 In 2000, Kostyrko, Salat, and Wilczynski introduced and studied the concept of I-convergence of sequences in metric spaces where I is an ideal. 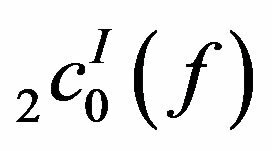 The concept of I-convergence has a wide application in the field of Number Theory, trigonometric series, summability theory, probability theory, optimization and approximation theory. 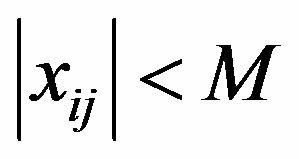 In this article we introduce the double sequence spaces and for a modulus function f and study some of the properties of these spaces. 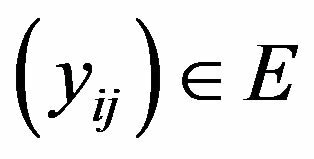 The notion of I-Convergence is a generalization of the concept statistical convergence which was first introduced by H. Fast  and later on studied by J. A. Fridy [2,3] from the sequence space point of view and linked it with the summability theory. At the initial stage I-Convergence was studied by Kostyrko, Salat and Wilezynski . Further it was studied by Salat, Tripathy, Ziman  and Demirci . Throughout a double sequence is denoted by Also a double sequence is a double infinite array of elements for all The inital works on double sequences is found in Bromwich , Basarir and Solancan  and many others. 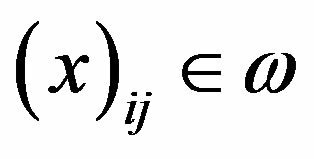 Throughout the article and denotes the set of natural, real, complex numbers and the class of all sequences respectively. Let X be a non empty set. 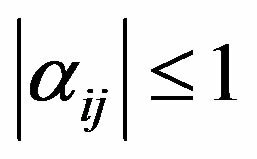 A set ( denoting the power set of X) is said to be an ideal if I is additive i.e and hereditary i.e. .
A non-empty family of sets is said to be filter on X if and only if , for we have and for each and implies . An Ideal is called non-trivial if . A non-trivial ideal is called admissible if . 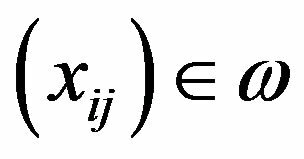 A non-trivial ideal I is maximal if there cannot exist any non-trivial ideal containing I as a subset. For each ideal I, there is a filter corresponding to I. The idea of modulus was structured in 1953 by Nakano (See ). (4) is continuous from the right at zero. 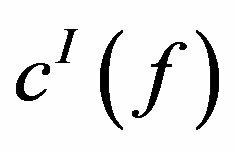 This space is an FK space , and Ruckle proved that the intersection of all such spaces is , the space of all finite sequences. The space X(f) is closely related to the space which is an X(f) space with for all real . 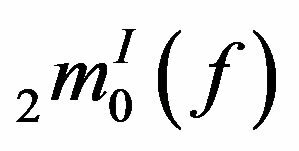 Thus Ruckle  proved that, for any modulus . Spaces of the type are a special case of the spaces structured by B. Gramsch in . From the point of view of local convexity, spaces of the type are quite pathological. Therefore symmetric sequence spaces, which are locally convex have been frequently studied by D. J. H. Garling [13,14], G. Kothe  and W. H. Ruckle [10,16]. Definition 2.4. A sequence space E is said to be monotone if it contains the cannonical preimages of all its stepspaces (see ). Definition 2.5. A sequence space E is said to be convergence free if , whenever and implies . and is a permutation on N.
Definition 2.8. A sequence is said to be I-convergent to a number L if for every . . In this case we write I-lim . Definition 2.9. A sequence is said to be I-null if . In this case we write I-lim . Definition 2.12. 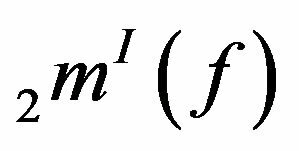 A modulus function is said to satisfy condition if for all values of u there exists a constant such that for all values of . Definition 2.13. Take for I the class of all finite subsets of . 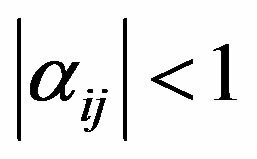 Then is a non-trivial admissible ideal and convergence coincides with the usual convergence with respect to the metric in X (see ). Definition 2.14. For and with respectively. 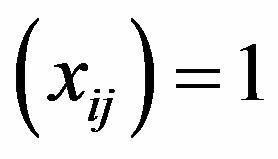 is a non-trivial admissible ideal, -convergence is said to be logarithmic statistical convergence (see ). Definition 2.15. A map defined on a domain i.e. is said to satisfy Lipschitz condition if where K is known as the Lipschitz constant. The class of K-Lipschitz functions defined on D is denoted by (see ). The convergence field is a closed linear subspace of with respect to the supremum norm, (See ). 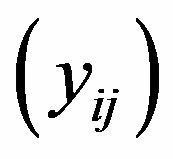 , for all , then the function is a Lipschitz function (see ). Throughout the article and represent the bounded, I-convergent, I-null, bounded I-convergent and bounded I-null sequence spaces respectively. In this article we introduce the following classes of sequence spaces. The following Lemmas will be used for establishing some results of this article. Lemma (1) Let E be a sequence space. If E is solid then E is monotone. Lemma (3) If and . If , then . Theorem 3.1. 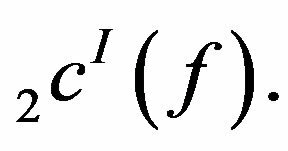 For any modulus function f, the classes of sequences and are linear spaces. Proof: We shall prove the result for the space . The proof for the other spaces will follow similarly. which holds for all . 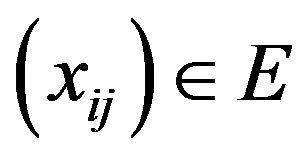 where the diam of N denotes the length of interval N.
Then there exists a where such that . So that , that is . Theorem 3.3. 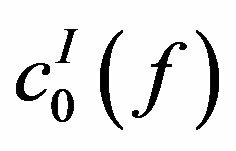 Let and be modulus functions that satisfy the -condition.If is any of the spaces and etc, then the following assertions hold. Let and choose with such that for . From (4), (5) and (6), we have . Thus . The other cases can be proved similarly. Proof: The result can be easily proved using for . Theorem 3.5. The spaces and are solid and monotone. the result can be proved similarly. Theorem 3.6. The spaces and are neither solid nor monotone in general. Proof: Here we give a counter example. Consider the sequence defined by for all . Then but its K-stepspace preimage does not belong to Thus is not monotone. Hence is not solid. Theorem 3.7. The spaces and are sequence algebras. Proof: We prove that is a sequence algebra. Thus is a sequence algebra. For the space , the result can be proved similarly. Theorem 3.8. The spaces and are not convergence free in general. Hence the spaces and are not convergence free. Theorem 3.9. 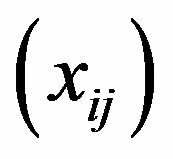 If I is not maximal and , then the spaces and are not symmetric. Then by Lemma (3) we have . Let be such that and . is a permutation on , but and . Hence and are not symmetric. Theorem 3.10. 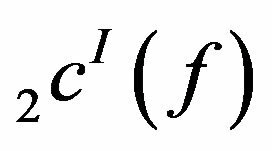 Let f be a modulus function. Then and the inclusions are proper. Proof: The inclusion is obvious. Taking the supremum over on both sides we get . Next we show that the inclusion is proper. Let then for some , which implies Hence the inclusion is proper. Therefore , and hence the inclusion is proper. , and hence uniformly continuous. Hence also , so that . 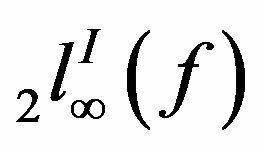 Thus is a Lipschitz function. For the result can be proved similarly. As , there exists an such that and . For the result can be proved similarly. The authors would like to record their gratitude to the reviewer for his careful reading and making some useful corrections which improved the presentation of the paper. H. Fast, “Sur la Convergence Statistique,” Colloqium Mathematicum, Vol. 2, No. 1, 1951, pp. 241-244. J. A. Fridy, “On Statistical Convergence,” Analysis, Vol. 5, 1985, pp. 301-313. P. Kostyrko, T. Salat and W. Wilczynski, “I-Convergence,” Real Analysis Exchange, Vol. 26, No. 2, 1999, pp. 193-200. T. Salat, B. C. Tripathy and M. Ziman, “On Some Properties of I-Convergence,” Tatra Mountain Mathematical Publications, 2000, pp. 669-686. 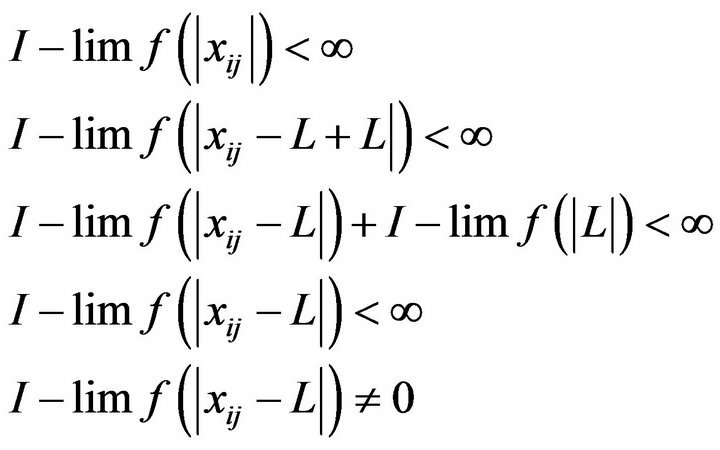 K. Demirci, “I-Limit Superior and Limit Inferior,” Mathematical Communications, Vol. 6, 2001, pp. 165-172. T. J. I. Bromwich, “An Introduction to the Theory of Infinite Series,” MacMillan Co. Ltd., New York, 1965. M. Basarir and O. Solancan, “On Some Double Sequence Spaces,” Journal of the Indian Academy of Mathematics, Vol. 21, No. 2, 1999, pp. 193-200. D. J. H. Garling, “Symmetric Bases of Locally Convex Spaces,” Studia Mathematica, Vol. 30, No. 2, 1968, pp. 163-181. G. Kothe, “Topological Vector Spaces,” Springer, Berlin, 1970. V. A. Khan and S. Tabassum, “On Some New Double Sequence Spaces of Invariant Means Defined by Orlicz Function,” Communications, Faculty of Sciences, University of Ankara, Vol. 60, 2011, pp. 11-21. J. Singer, “Bases in Banach Spaces. 1,” Springer, Berlin, 1970. M. Sen and S. Roy, “Some I-Convergent Double Classes of Sequences of Fuzzy Numbers Defined by Orlicz Functions,” Thai Journal of Mathematics, Vol. 10, No. 4, 2013, pp. 1-10. I. J. Maddox, “Some Properties of Paranormed Sequence Spaces,” Journal of the London Mathematical Society, Vol. 1, 1969, pp. 316-322. K. Dems, “On I-Cauchy Sequences,” Real Analysis Exchange, Vol. 30, No. 1, 2005, pp. 123-128. M. Gurdal, “Some Types Of Convergence,” Doctoral Dissertation, Sleyman Demirel University, Isparta, 2004. P. K. Kamthan and M. Gupta, “Sequence Spaces and Series,” Marcel Dekker Inc., New York, 1981. I. J. Maddox, “Elements of Functional Analysis,” Cambridge University Press, Cambridge, 1970. T. Salat, “On Statistically Convergent Sequences of Real Numbers,” Mathematica Slovaca, Vol. 30, 1980, pp. 139- 150. A. K. Vakeel and K. Ebadullah, “On Some I-Convergent Sequence Spaces Defined by a Modulus Function,” Theory and Applications of Mathematics and Computer Science, Vol. 1, No. 2, 2011, pp. 22-30. A. Wilansky, “Functional Analysis,” Blaisdell, New York, 1964.